Buy from Big Valley Metal Detectors, a Minelab trained, authorized dealer. Scroll down for details and accessories. 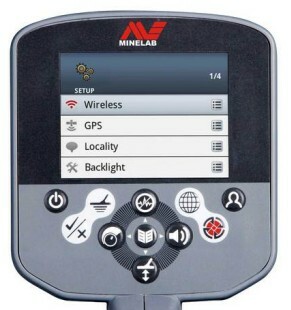 Minelab CTX 3030 HITS SILVER RIGHT OUT OF THE BOX! 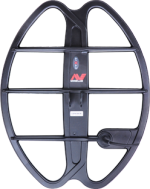 The waterproof 17 × 13-inch elliptical Double-D coil provides maximum depth for specialised treasure hunting. It is also great for wide ground coverage in open spaces. A protective skidplate is included. 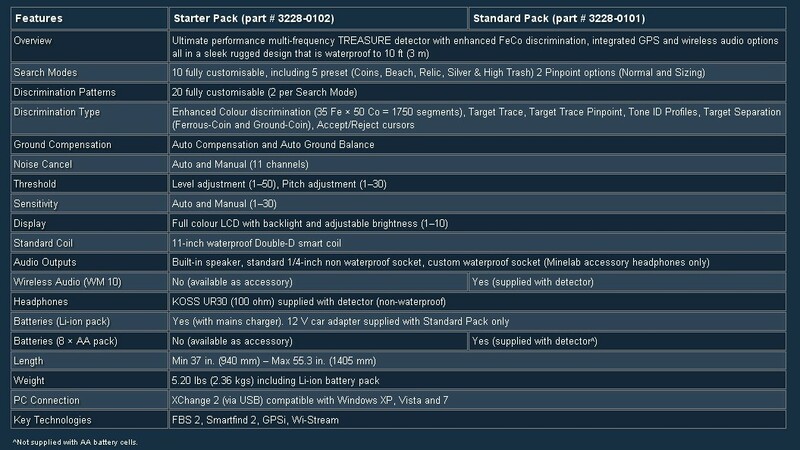 *Supplied with Standard Pack only. Available as accessory for Starter Pack. Forgotten to charge your battery? This pack provides the option of using 8 x AA cells as an alternate power source. IDENTIFY - For quickly accepting or rejecting a detected target, the Identify function saves you time and effort! Edited patterns are automatically saved within your current Search Mode. Auto accept/reject discrimination features are also available for fast pattern editing using sample targets. DETECT - CTX 3030 Identify When you are searching, the Detect screen shows you all the target information you need to find more treasure – you won’t miss anything! The colour display, Ferrous and Conductivity numbers, numerical depth indicator and sensitivity panel will give you more confidence to find those elusive good targets in heavily searched and high trash areas. MAP - CTX 3030 Identify When you want to check treasure locations or ground you have covered, the Map screen shows you the way – no need for a separate GPS! The GeoTrail displays the path where you have been so you don’t waste time detecting the same ground twice. 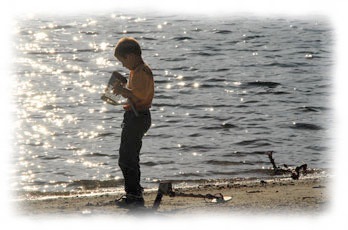 Use WayPoints and FindPoints to create your own treasure map. STORE - CTX 3030 Identify For recording find locations and entire treasure hunts, the Store function does it all! WayPoints are used as general position markers to easily navigate to your favourite locations. 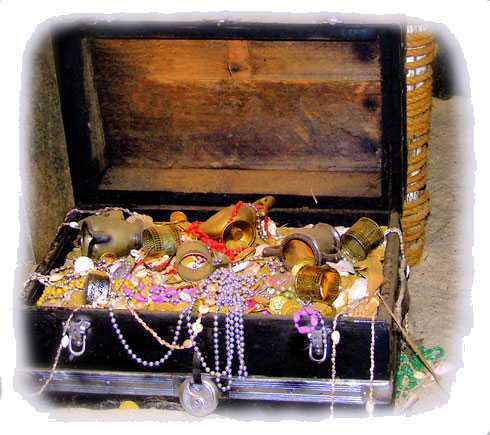 FindPoints capture location, detector and target data for storing details of your treasure finds. 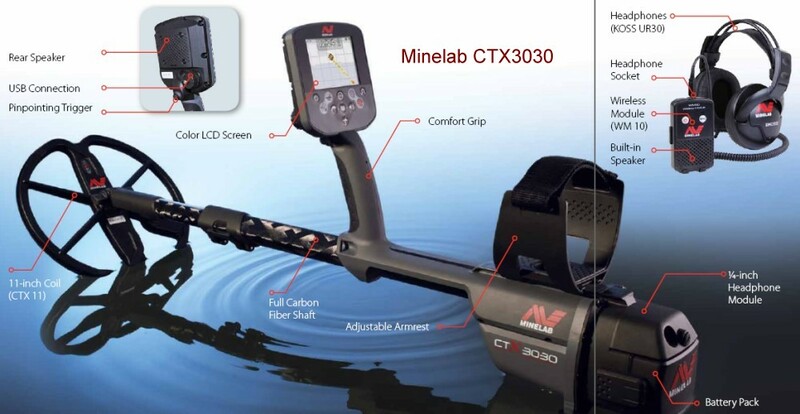 You can go detecting anywhere with this versatile TREASURE detector.You have the flexibility of land and underwater detecting as the CTX 3030 is waterproof to 10 ft (3 m). 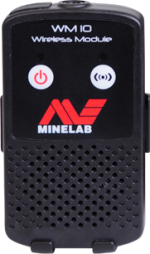 Have the freedom to detect without your headphones being attached to your detector.With the WM 10 Wireless Module you have the choice of using the internal speaker, supplied headphones or your own favorite headphones. See where you have been and where you are going by using the Map screen and Navigation Tool.New GPS functions, such as GeoTrails, WayPoints, FindPoints and GeoHunts, allow you to leave your handheld GPS at home!